The Russian. He lives near Moscow and works in one of the Moscow notary offices. Since childhood he had dreamed of a home bestiary, but his mother only allowed him to a dog and budgerigars. 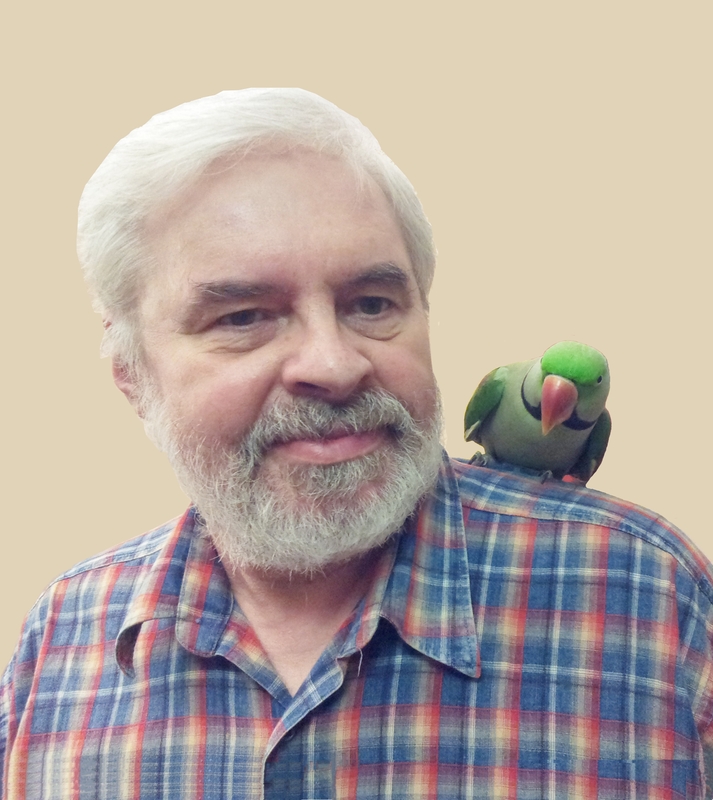 So at the age of 11 he began to breed budgies, and today, as he humorously recounts, in addition to his wife and two children, he has 3 dogs and almost 30 parrots. 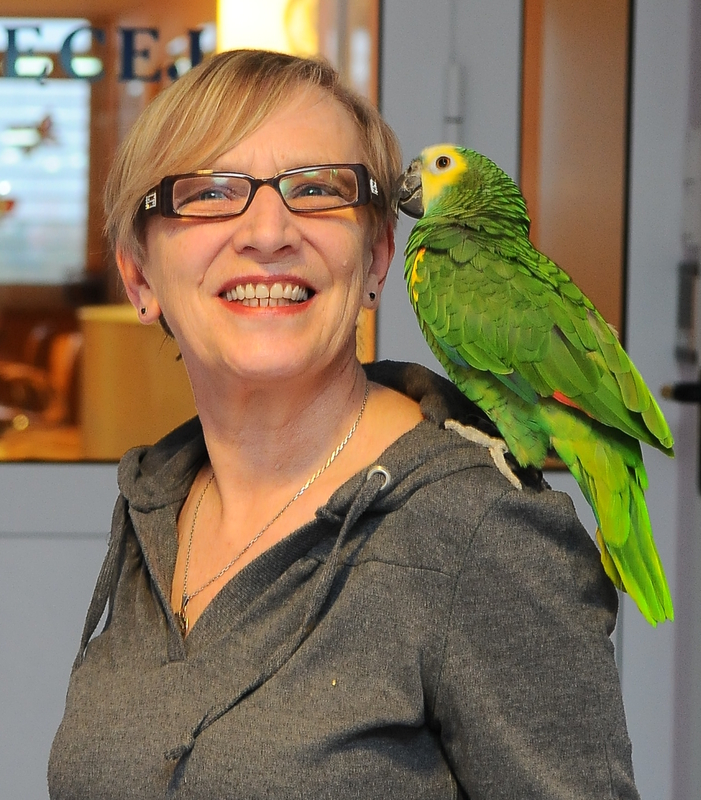 His favourite pets are African Grey parrots - his dream of childhood - Gregory and Ksjusha. 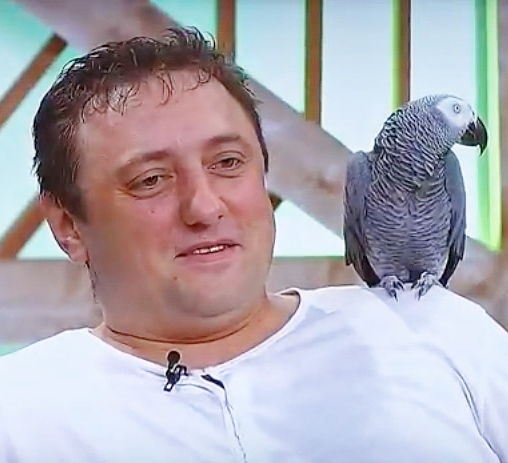 Gregory is the most famous talking parrot in Russia and the Champion of Poland in the "Parrot Chat" 2015/16. 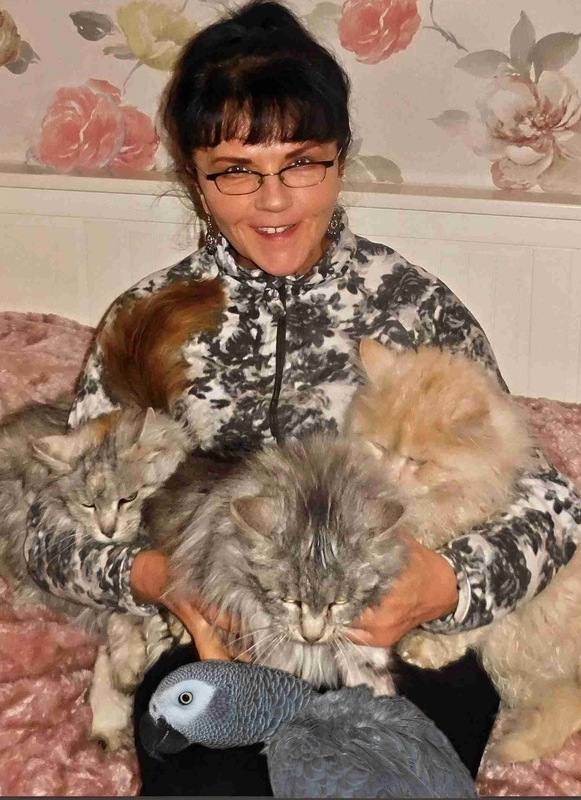 In addition to them, Dmitrij is engaged in breeding African greys and Alexandrin parakeets.